Handmade Arkham Horror Engraved Deck Boxes! 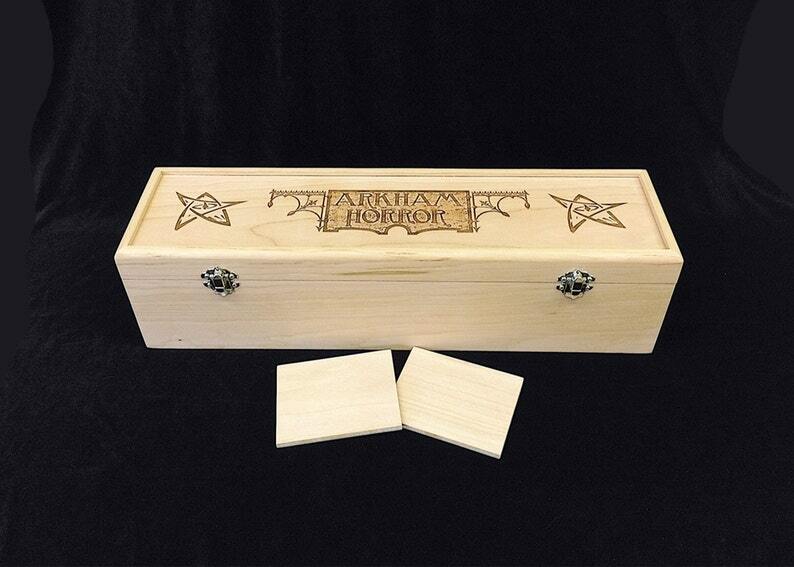 This box was specially created to hold Arkham Horror playing cards. Solid construction. Has a really nice feel and weight. Was shipped quickly. Only issue (very slight) is that the poplar wood does not have as much green hue as I was expecting from the wood comparison picture. Nothing a bit of stain shouldn't cure. I cannot say enough about Mick and his products. 2 out of 3 of my son’s have boxes made by him (sports and Pokémon). His costumer service and the quality of the products are beyond any expectations! I have recommended his shop and will continue to do also as well as purchase again. 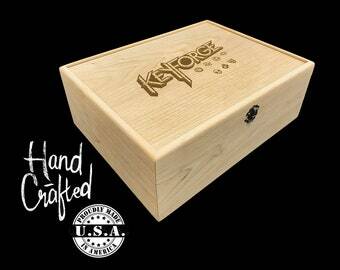 If you are hesitating to purchase, don’t, you won’t be disappointed! Awesome product and timely delivery. I'm extremely happy with my product! I had some questions before even placing my order and responses were quick. Received the product fairly quickly. It's a gift for my boyfriend. I had some engraving done on the inside of the lid as well and it turned out great. I hope my guy likes it!